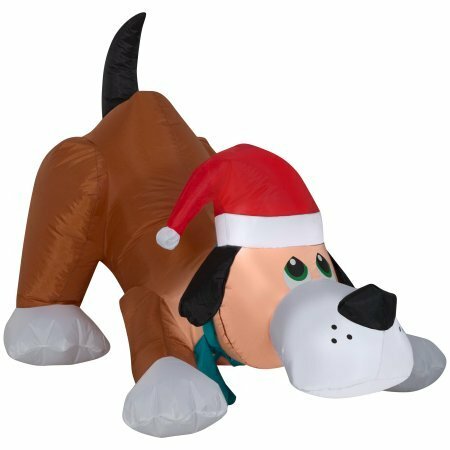 Easy Set-Up Airblown Self Inflatable Energy-Efficient Christmas Playful Puppy Dog with Santa Hat, 2.5 Tall (1) by Gemmy at Two Clock. Hurry! Limited time offer. Offer valid only while supplies last.